On August 24, Windows 95 celebrated its 20th anniversary. Can you believe that? As one of the most influential operating systems of all time, it’s amazing to think that it’s been two decades since its debut. Look how far we’ve come! It’s always fun to walk down memory lane and see the history of Windows A Quick Look at the History of Windows in Visual Form A Quick Look at the History of Windows in Visual Form Read More , starting with Windows 3.1 and ending with the novel wonder of Windows 10 How to Upgrade to Windows 10 Now & Why You Should Wait How to Upgrade to Windows 10 Now & Why You Should Wait Have you been waiting patiently since July 29 for your Windows 10 upgrade? You should probably wait until you receive an official notification, but if you are determined, you can force the Windows 10 upgrade. Read More . A lot has changed, including the evolution of the Start Menu The History of the Windows Start Menu The History of the Windows Start Menu For all the pomp and ceremony surrounding the release of Windows 10, one of the most well-received features of the operating system is the return of an old friend—the Start Menu. Read More , but few things have changed as much as the sound effects. 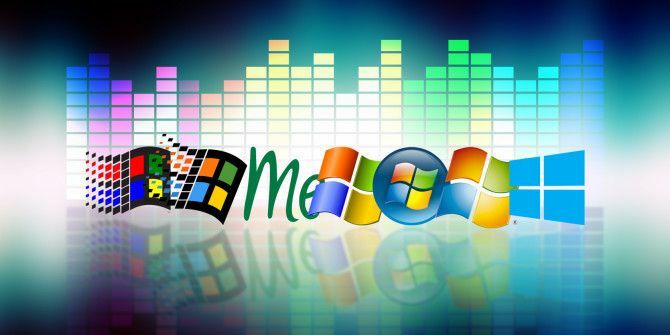 To celebrate this anniversary, we thought it would be amusing and sentimental to revisit the progression of sound throughout the different versions starting with Windows 95. Ready for a dose of nostalgia? Grab a cup of coffee, sit back, and relax. One interesting bit of trivia is that there’s actually a good deal of history behind this exact sound clip. Do you know Brian Eno? He’s an acclaimed musician who is considered by many as one of the main pioneers behind the ambient music genre. In preparation for Windows 95’s big release, Microsoft commissioned Eno to compose some audio for the system. One of the many clips he created ended up being the one above, which would eventually be known as “The Microsoft Sound”. What’s amazing is that he nailed it. Sure, it’s a tad bit over the 3.25-second criterion, but Eno proves that creativity tends to flourish under pressure How To Spark Personal Growth: 5 Tricks Of The Entrepreneur How To Spark Personal Growth: 5 Tricks Of The Entrepreneur Not everyone has to be an entrepreneur, but everyone can learn something from the entrepreneur. By tapping into some of those entrepreneurial traits, you can radically alter your own life in an upward direction. Read More . The result is simple, short, iconic, emotional, and one of the most memorable sound effects in all of modern history. “I wrote it on a Mac,” he replied, quickly. “I’ve never used a PC in my life; I don’t like them.” Quite the revelation for a noise that’s ingrained in the minds of any 90s PC user. Now let’s jump back to Windows 3.1, which is essentially the “first version of Windows” in terms of what most people know about Microsoft. This startup sound, while still iconic in its own way, lacks much of the soul behind the Windows 95 sound. It’s certainly more primitive. It sounds like a sound effect that comes from an era when people were still discovering how to make quality digital sounds. In some ways it’s more airy, more ethereal, even more triumphant and glorious — but still lacks personality. Some might even call it generic, which it is. One could imagine it being used in conjunction with pretty much any other brand without issue. What was wrong with Windows ME? It crashed. A lot. It also had a lot of problems with software and hardware compatibility. Disgruntled customers — myself included — often referred to it as Windows “Mistake Edition”, and I still stand by that today. Windows XP held the title for “World’s Most Popular Operating System” for quite a long time, from its birth in 2001 all the way to its death in 2014 Windows XP: What's Happening To It Now? Windows XP: What's Happening To It Now? Windows XP may be dead, but it's not yet gone. Over 27% of computers connected to the Internet still run Windows XP. Here's exactly what "end of support" means for Windows XP systems. Read More . Considering how long it reigned, it’d probably be safe to say that the Windows XP sound is now more recognizable than the Windows 95 sound. Would that be a good barometer to use when judging Windows XP as Microsoft’s most successful operating system ever? Not only was Vista the second worst misstep taken by Microsoft — almost neck-and-neck with Windows ME — but the startup sound is boring and lifeless. Put all of it together and you get a depressing experience that offers no redeeming qualities. Ball explained that Microsoft had aimed to give the impression that the sounds of the Glass Scheme were made with glass instruments. In this context, users should notice a correlation between the glassy sounds and the transparent effects of the user interface. In that context, the Vista startup sound has some merit. The idea behind it was fine, but the overall execution of the unified interface fell short, which is a shame. Windows 7 upturned that sinking ship, resulting in an operating system that ended up being a fan favorite of many. It’s too bad that it didn’t come with an updated startup sound to call its own. Windows 8 came without a startup sound change as well, and it appears that Windows 10 doesn’t have a startup sound at all. Have we reached the end of the startup sound legacy in Windows? We hope not! And one last thing: some creative people on the Internet have taken these iconic sounds and combined them into musical remixes. They’re awesome. Check them out! As we celebrate the 20th anniversary of Windows 95, satisfy your nostalgic longings with these interesting bugs in Windows 98 3 Windows 98 Bugs Worth Revisiting 3 Windows 98 Bugs Worth Revisiting Is it just nostalgia that keeps me attached to this OS, or was Windows 98 actually worth remembering? This operating system released 15 years ago had its ups and downs. 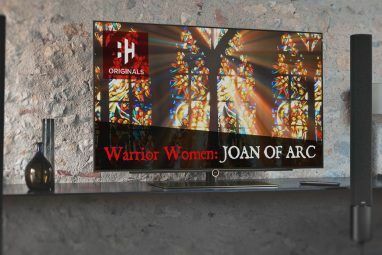 Critics have been pretty harsh... Read More , these famous programs that no longer exist Blast from the Past: 7 Famous Programs & Games that No Longer Exist Blast from the Past: 7 Famous Programs & Games that No Longer Exist Do you remember the programs you were running in the 1990s? Join me as we take a trip down memory lane and reflect on how far we've come over the past two decades. Read More , and these historic programs that we still use today Remember These? 7 Ancient Windows Programs Still Used Today Remember These? 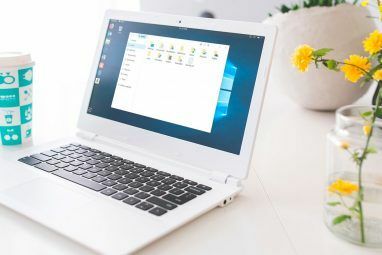 7 Ancient Windows Programs Still Used Today They say technology advances at an exponential rate. But did you know some programs have been around for multiple decades? Join us for a walk down Nostalgia Lane and discover the oldest surviving Windows programs. Read More . Which version of Windows has your favorite startup sound? Which one do you like the least? Tell us in the comments below! Explore more about: History, Windows 10, Windows Vista, Windows XP.